The ultimate Christmas cookery companion for every household from Britain's most trusted kitchen. Christmas with Good Housekeeping provides every recipe you need for the most delicious festive season with family and friends. With over 140 recipes for jovial perfection, chapters offer mouth-watering ideas for canapes, starters, vegan & vegetarian options, baked goods, showstopper desserts, edible gifts, and not to forget Christmas lunch with all the trimmings! 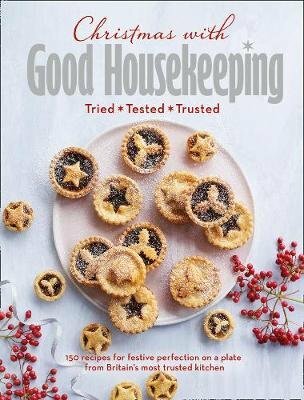 Accompanied with stunning photography, specially curated to answer key questions for readers surrounding Christmas cookery, Good Housekeeping reveals not only their tried and tested recipes, but also their tips for getting ahead, saving time, loving your leftovers, and making the most out of your festive gatherings. With all bases covered for the big day, this definitive cookbook will be one you'll come back to year after year.